How many times has chocolate been done? I mean seriously, you think of it and it’s probably been dipped, coated, filled, layered, moulded and even sculpted with chocolate. Needless to say it takes something pretty special to really stand out from the crowd in the chocolate world, something a little different and something with a touch of exotic flair. 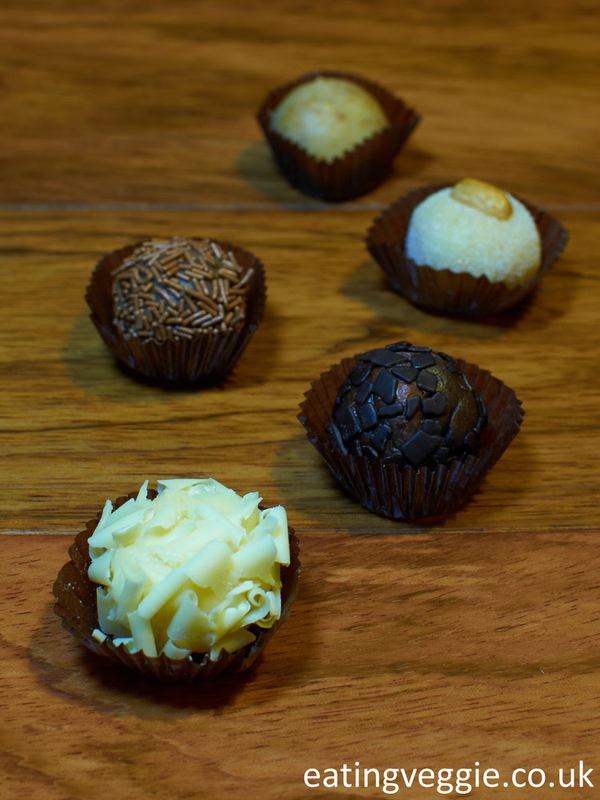 That’s exactly what you can expect from Dolce Momento’s range of brigadeiros. 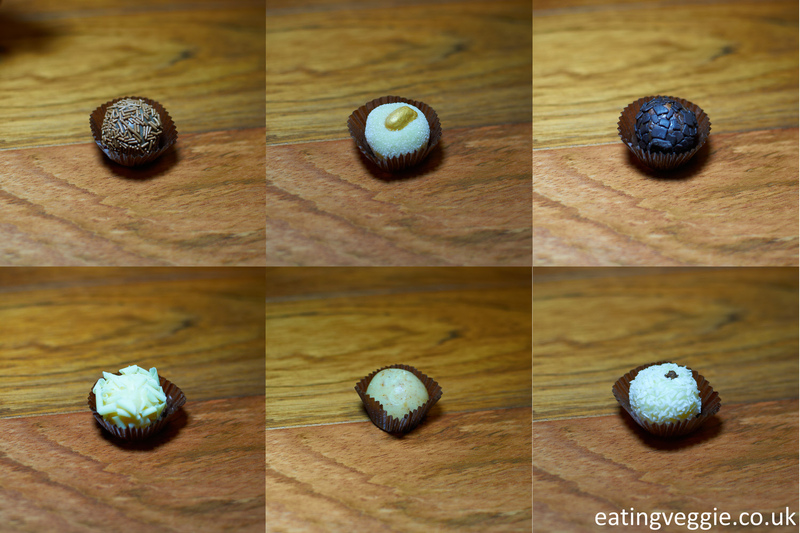 Honestly they are like nothing I’ve ever tried before, think of the silkiest chocolate truffle you’ve ever had and then mix that with a rich, velevety ganache and you’re only part of the way to describing these brilliant little chocolates. There is something about them that I simply cannot put my finger on, they have a curious but not unpleasant texture and seem to fill your whole mouth from the smallest of savouring bites. The flavour hits you with a pleasant intensity that is not sickly and never over-sweet, as often is the case with chocolate truffles. Although traditionally made with cocoa powder the rules have been bent a little as these are gourmet brigadeiros, hand made with the finest Belgian chocolate, ensuring quality and adding a little decadence. Ranging in flavours from the dark and rich to the more subtle and delicate, Dolce Momento offer a wide range to suit everyone’s taste. The best bit, they are all suitable for vegetarians and they are gluten free as well! Available from boxes of 6-24 in a variety of speciality cases they also look amazing when presented as gifts, perfect for wedding favours for which special package deals are available. 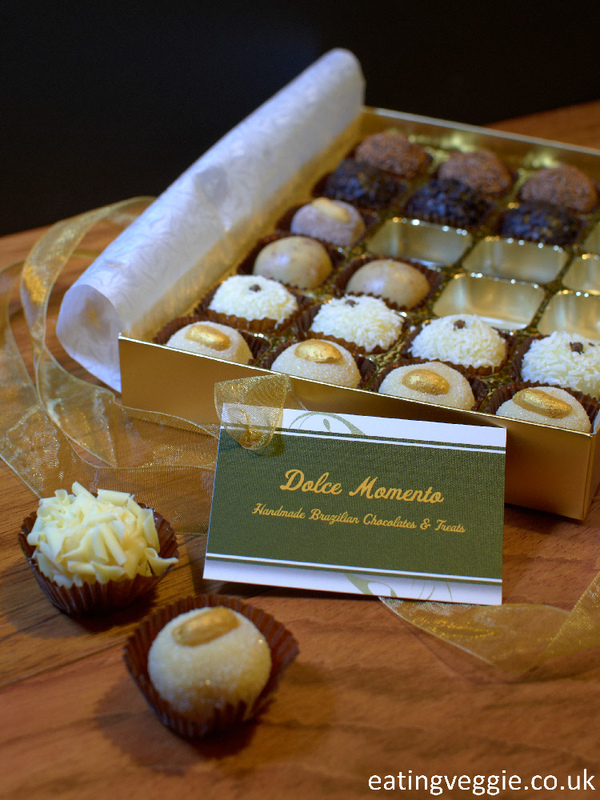 They can also cater to large functions and events, creating spreads and displays of brigadeiros and offering other sweet delights besides. If you live locally in Norwich the chocolates can be delivered to you, or you can even pick them up, but not to fear they also offer a shipping service if you live further afield. It goes without saying this is a very positive review and for bloody good reason to, put simply, they’re fantastic little treats. The only downside is that they aren’t cheap, but are they worth it? I’d say yes. We aren’t talking about your everyday off the shelf box of chocolates, these are hand crafted and made to order and in fact cost no more than any other such chocolates from a chocolatier. You can find out loads more information over on their website www.dolce-momento.co.uk. Feel free to pick up the phone and have a chat, having met the guys behind the company I can safely say they are more than helpful and would be pleased to talk about their products and how they can suit your needs.